Sony always brings new improvement and great features in each of its camera firmware update. Unfortunately, it is not a secret that Sony firmware update process can be a hassle. The process often fails midway and sometimes it can be confusing. If you want the firmware update process to run smoothly, make sure you pay attention to these following things. Remove the SD Card from your camera before you start the update. It is very important because the camera might restart for several times during the process. If you forget to remove the SD Card, some programs on your computer might detect it and automatically open an import window which can disrupt the process. Sony firmware update process can take pretty long. Furthermore, at some part, it might seem like that your camera is suddenly turned off and just won’t budge no matter which button you push. You don’t have to worry about this because there is nothing wrong with your camera. It is a normal thing in every firmware update process. Touching your camera and pressing the buttons randomly can interfere with the update process. It is also possible that you will accidentally touch the USB cable and break the connection with the computer. So, if you want the update to run well, make sure you wait until the process is finished before touching your camera. 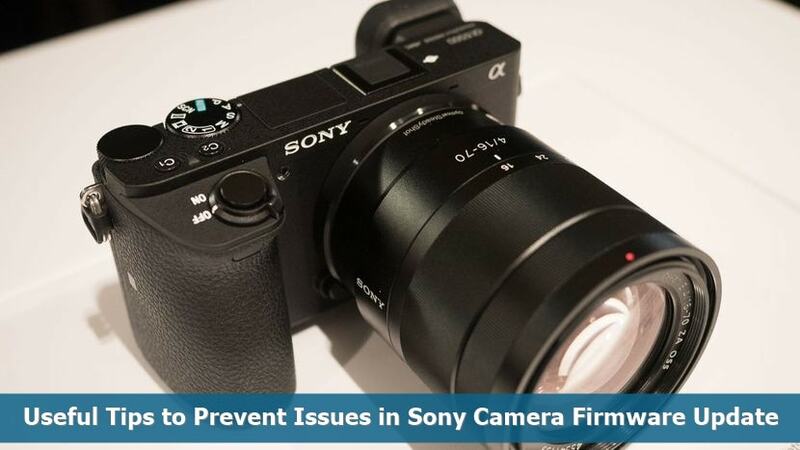 0 Response to "Useful Tips to Prevent Issues in Sony Camera Firmware Update"